Dey For Love | Check It Out — Interview of “The English Lily” Author! 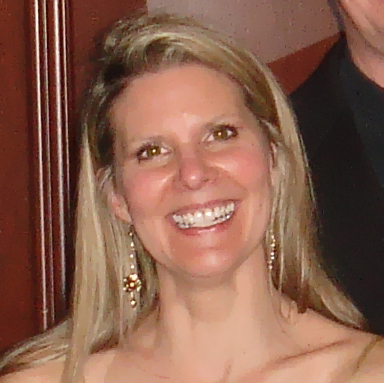 Today it is my pleasure to feature Kathy L. Wheeler on Dey for Love. Kathy is the author of several romance novels, novellas and shorts. Published by Wild Rose Press and also self-published, Kathy has learned a lot through her writing adventures, both from traveling in the real world and in her creations. She sits down with us today to share a bit about her writing. KARA: Thanks for taking time with my readers and me today, Kathy! So let’s get to it! Have you ever had to kill off a character? How did you make that choice? Or was that choice taken from you by the story/characters? KARA: Hah! I think that’s the best compliment, for him to be so invested! Which sub-genre of Romance do you feel the most comfortable writing in? Why? KATHY: I started out writing contemporary, but feel I am gaining confidence in historical. I’ve always loved reading historical, but the stories just have not presented themselves. That is changing, however. I imagine I will continue with both. . .and who knows what the future holds. KARA: Are you a plotter, a pantser, or a hybrid? KATHY: I am mostly a pantser. I start with an idea and start writing. I brainstorm with my critique group (we have martini club). I also keep notes at the foot of my document, and as I answer questions or situations, I delete them. So I wouldn’t quite refer to it as a hybrid. KARA: How do you know you’ve hit your zone? KATHY: When I can’t stop. I once had critique partner who would issue these challenges. She sent a note out one Friday and said, “Okay, girls, 3000 words by Monday.” I did 9000. Talk about a zone! Whew. KARA: That’s fantastic! 🙂 Do you prefer to write novellas, short stories, or full-length books? Which do you prefer reading? KATHY: I prefer full-length novels. I have 6 that are over 55k. The two books with The Wild Rose Press are actually novellas. I’m getting better at the shorter stories, which I never thought much about doing. The Oklahoma Romance authors started a series of “chapter stories” if you will, for holidays. For example, twelve of us each wrote a chapter for the Twelve Days of Christmas. We set up a theme and time period, then a chapter is posted each day for that period. I had Five Golden Rings. We did another for Valentines, and I was day 9 out of 10. And currently, there are two different groups for March, the first, obviously, St. Patrick’s Day; the second is an inspirational series for Easter. I’m working on the St. Patrick’s Day set. Those stories can be found at wildokies.blogspot.com. The St. Patrick’s Day stories begin on March 11, with Amanda McCabe/Laurel McKee kicking it off. I’m scheduled for March 15th. KARA: Have you been published in small press, big press, as an indie, or a combination? Why did you make this decision? If you chose indie, what was the ‘turning point’ for you? KATHY: My first contract was with The Wild Rose Press. It has been a fantastic experience. However, the Cinderella Series I mentioned previously, did not quite fit anywhere, so I decided to self-publish the series which is three books. They are considered sweet romance, but in writing the series, I found the first book to be a sisters story. The second and third book turned into somewhat of a suspense and follow the more traditional route of romance, although still sweet. The fourth, The English Lily, as I said, was part of the Scrimshaw Doll series that Wild Rose Press picked up. I had contracts with another publisher for two contemporary books: Quotable and Maybe It’s You. I’m afraid that didn’t work out so well, so I decided to reclaim my rights. It took time, but all is good now, and I’ve self-published two of three books in the series already. The third book, Lies That Bind, is completed but currently undergoing the edit process. I’m hopeful to have it out by summer. KARA: They all sound so interesting, Kathy. I am very glad you stopped by to share this good news with us. I can’t wait to get my kindle copy of The English Lily and Quotable. And I’m going to wildokies.blogspot.com right away. Kathy L. Wheeler was born in Presque Isle, Maine. How she ended up in Texas, then Oklahoma is as much a mystery to her as anyone. She graduated from the University of Central Oklahoma with a BA in Management Information Systems and a minor in Vocal Music. She is published through The Wild Rose Press in contemporary and historical romance. She loves to travel. Ports of call included a three week stint in Europe covering Madrid, Barcelona, Avignon, Paris, Koln, Amsterdam and London. Other exciting places include Grand Cayman, Puerta Vallarta, Mexico, Vancouver, Canada and roaming from one conference to another nationwide. You may have met her in Seattle, Dallas, San Francisco, San Diego or Atlanta. She has served a number of positions with the Oklahoma Outlaws RWA Chapter, and is also a member of DARA, The Beau Monde, Passionate Ink and OWFI. Kathy lives with her husband in Edmond, Oklahoma where she migrated from Dallas, Texas in 1992. She has one grown daughter and one bossy cat. 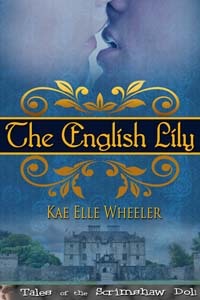 15 Responses to Check It Out — Interview of “The English Lily” Author! Thank you so much for hosting me, Kara. I will see you on the 21st! Awesome interview! Kathy you’re so funny. I love that your husband was so concerned about you killing off the character. It’s amazing how attached we become to our characters. As part of the Tales of the Scrimshaw Doll series, the critique group, the martini club, and the St. Patrick’s day stories, I would like to offer my congrats to Kathy. (I’m not sure what all that has to do with anything except that maybe I’m spending too much time with Kathy???) Anyway, I love her stories, love The English Lily and I am SO happy for her. Kathy, I applaud you for finally killing someone. I have killed TONS of people. You were starting to make me look bad. Best of luck, FB/TB! I look forward to reading The English Lily. I love the Cinderella stories, so I’m sure I’ll like this one, too. I looked on Wild Rose Press, Linda. You and I were both free. I didn’t realize. This whole book has thrown me off. Martini club?? Would love to join that to brainstorm ideas. Too bad ya’ll are in OK. I love your husband’s response! Priceless. 🙂 Great interview and I think the cover is perfect. Lovely post, Kathy. Best wishes! Fabulous! I especially love the part about your husband struggling with the death of your character. I can just picture him, mourning while you bite back chuckles. Great interview, Kathy. I’m so inspired by your drive and determination to produce. Thanks for the motivation! Fabulous! I especially love the part about your husband struggling with the death of your character. I can just picture him, mourning, while you bite back chuckles. I’m so inspired by your drive and determination to produce. Thanks for the motivation! The English Lily sounds fantastic, by the way.